Those who fancy crabs for a meal have now a perfect place to visit. Just recently, our friends from Captain A's Seafood Grill introduced the newest member of their boodle fight menu, Crab Temptation. 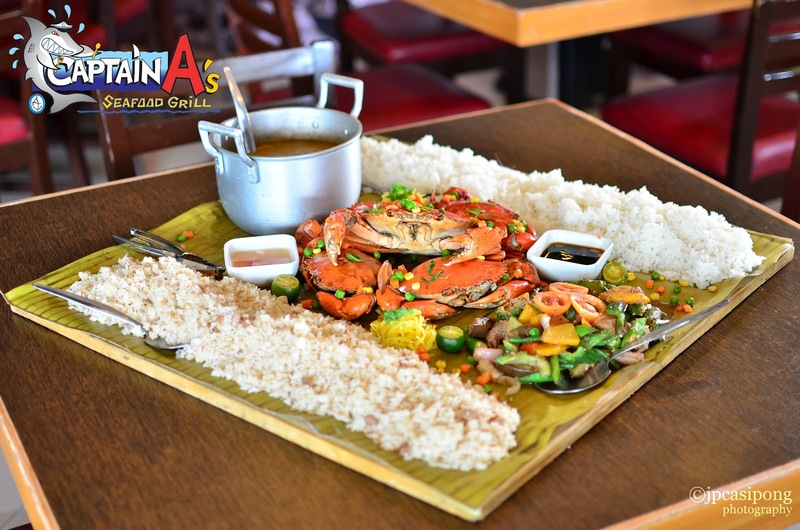 As the name suggests, a huge platter under a banana leaf presents a sumptuous array of steamed crabs that are deliciously irresistible. Not only that, the meal also includes Bagoong Rice, Plain Rice, Pakbet and Nilarang Soup. One order can cater up to five hungry stomachs! The meal comes with unlimited plain rice, a platter of fresh fruits, and one (1) round of iced Tea (five glasses).